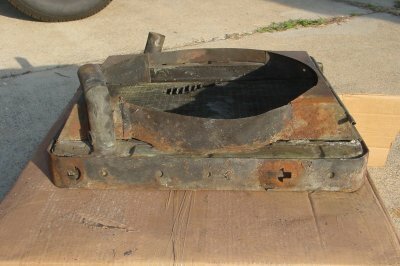 This is an original Ford GPW radiator that come off of my jeep. 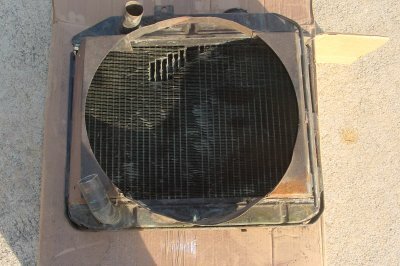 At the time of removal in March 2002 the radiator functioned well. It did not leak. It has a nice “F” and “GPW” markings on the top tank. 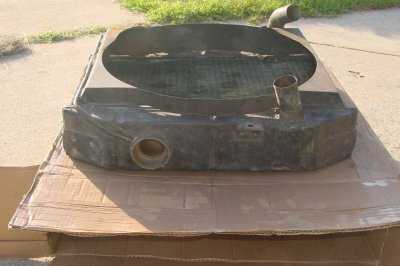 Look at the photos carefully, most likely you will want to have it recored as the back side of the radiator was damaged at some point. Years ago I had the radiator checked for leaks so there is a radiator shop tag (most likely not visible on the side of the tank). I ended up Above. 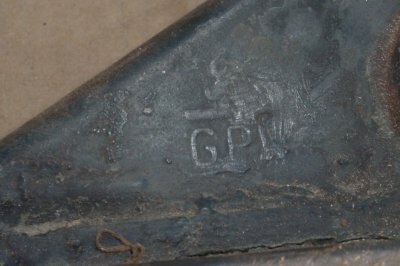 In the first picture you can see a closeup of the “F” and “GPW” that is on the side of the top tank. Above. The front of the radiator. Note that some of the fins are bent. Above. The back of the radiator. Note that damaged fins. Above. The top of the radiator. 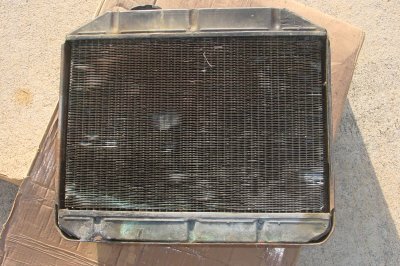 Note that you will need to replace the gasket in the neck of the radiator. I got mine from Brent Mullins but ended up using the gasket on my new radiator. Above. The bottom of the radiator. The mounting bolts are missing and should be tacked in when you have radiator checked out. I used carriage bolts to hold it in place for nearly 20 years. Also note that the stopcock has been removed. I used it in my new radiator.